I chose the right page because it had a circle right on the fold. 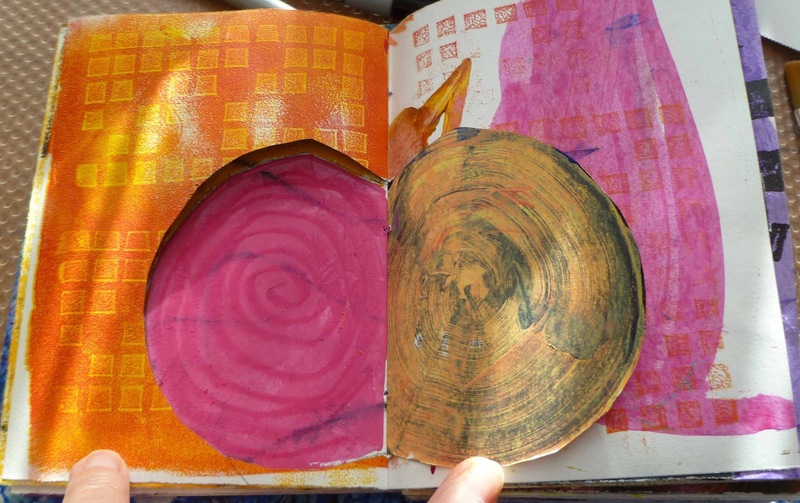 Before I cut the circular "door" I put a cutting mat under the page. 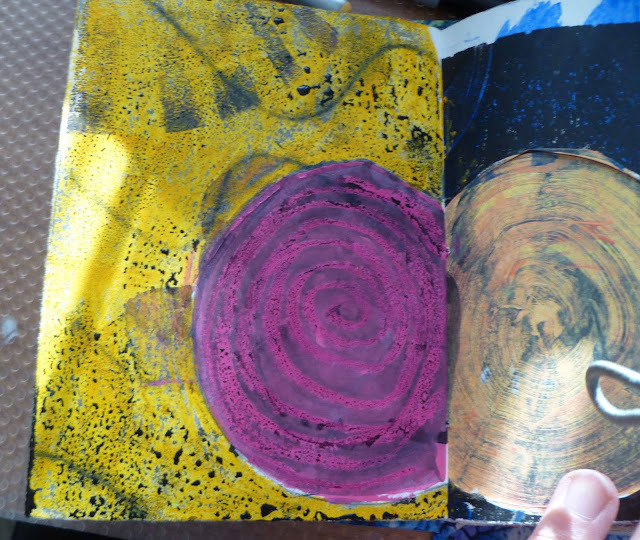 What I DIDN'T get was a picture of before I started of the left page. I used the aperture in the right page as a template to trace the same size circle as the aperture onto the left page (now a pink circle). I later colored the background with yellow oil pastel. 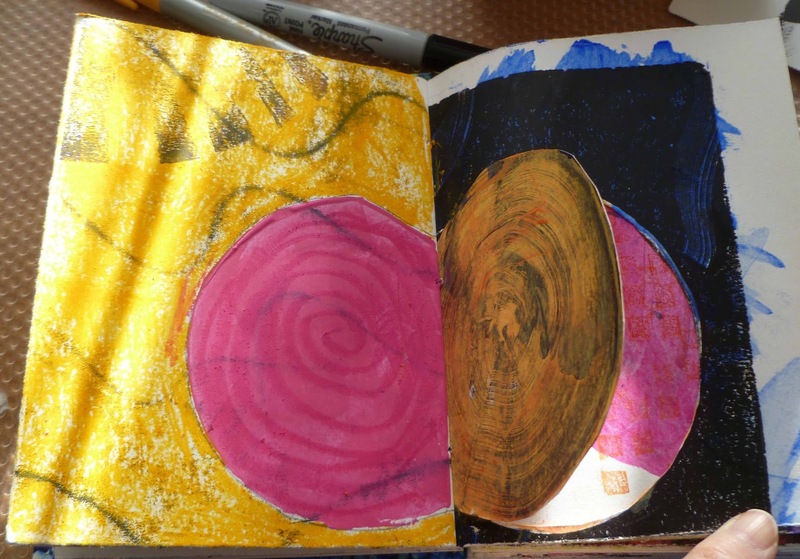 I painted the circle on the left page in pink paint and when dried made the spiral inside it with an oil pastel. 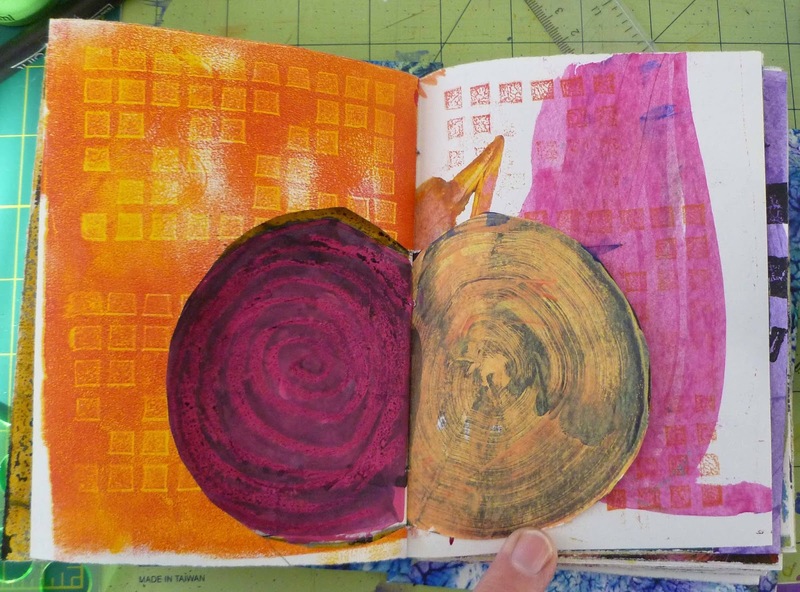 When the right page was opened and the "door" held back you can see the pink "beet" through the aperture. 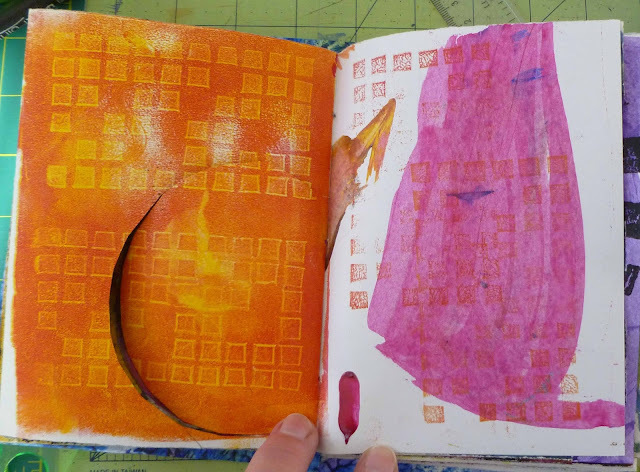 It even goes well with the opposing page with the pink scraped on paint. 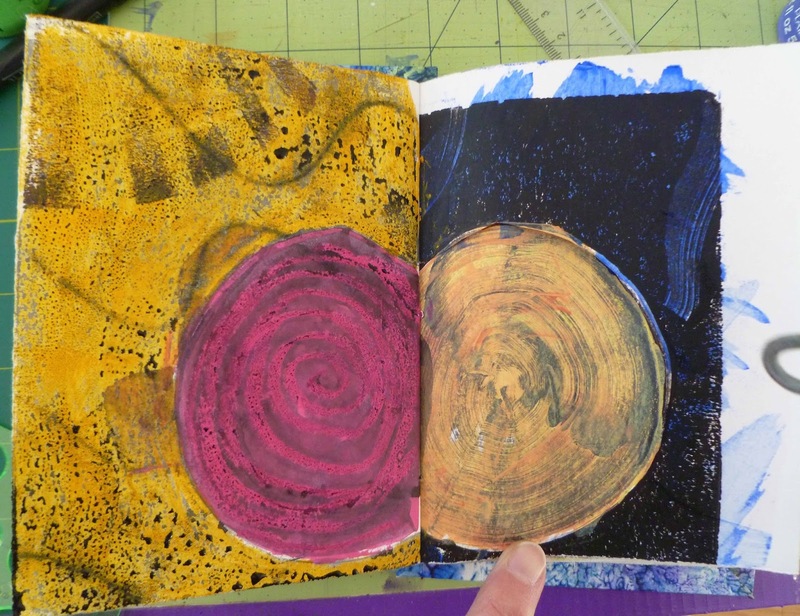 I painted the yellow oil pastel with very dark paint to knock back the color. I love the way it beads up. Don't forget I am giving away a new handmade sketchbook and a set of watercolors with a winner chosen from those who email me with some of their own work from this month. You can send your photos to beth dot from dot maine at gmail dot com. Too cool. A great technique.